Western Sonoma County, California, used to be apple country and now is wine country. But the steadily growing success of ACE Ciders, fermented by the California Cider Company, is proving that there is still a home for apples too. Sales in 2012 reached $5 million, a 52% increase since the previous year, and their ciders have taken home top awards from the World Beer Championships and the Beverage Testing Institute. The California Cider Company is the largest, family owned cidery in America. Volumes will hit 30,000 barrels this year, around one million gallons in 2013. The California Cider Company was established in 1993 by current company president and Englishman, Jeffrey House. House’s background was in advertising and marketing before he moved to the US and started to import British and Belgian beers with Thames America in 1980. In 1985, he launched Taunton’s Dry Blackthorn cider with his colleagues at Thames America and they made it the biggest brand of cider on the West Coast and in Texas and Florida. They benefited from the growth of Irish and British pubs but, unfortunately, they lost the brand to Miller Brewing. As a result, in 1994, House formed the California Cider Company to begin developing his own cider and keep up with the rich apple production history in Sonoma County. The last three years have seen significant changes for the California Cider Company. In 2009, the company moved its processing and warehouse from outside Graton to its current home in Sebastopol. In 2011, a $250,000 bottling line was installed to finally bring all Ace Cider production under one roof, and there are plans to further develop the company’s premises. The California Cider Company opened the first cider centered pub in the United States in 1999, but despite closing in 2010, there is a cider tasting room open on the premises every Friday from 2-5pm. The ciders are around 5% ABV, while the Joker boasts an ABV of 6.9%. All six ciders are available in five gallon kegs, 13.2 gallon kegs, 15.5 gallon kegs and cases – and they aren’t without praise. 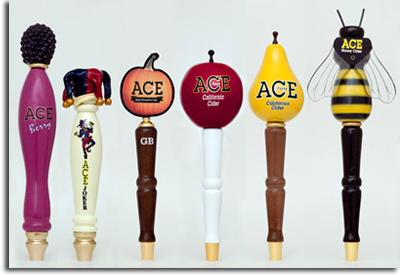 In 2011, the Ace Perry won the Beverage Testing Institute’s Best Cider in America award. At the 2010 World Cider and Beer Championships, the Ace Perry took home a gold medal, and the Ace Joker and Apple Honey took home silver and bronze medals, respectively. 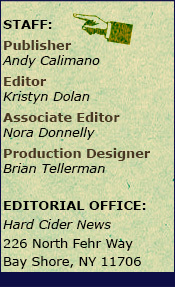 Impact Magazine of NYC named Ace Cider one of the “Hottest Brands of the Year” in 2011 and 2012. Where to find Ace Cider? As evidence of its success, Ace Ciders are sold in forty states and the Cayman Islands, so there is a good chance you can find a bottle near you. The company will be selling its ciders in all 50 states by the end of 2013 and exporting to several countries including possibly Australia and the UK. 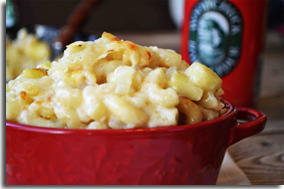 The California Cider Company is located at 2064 Gravenstein Highway North, Building 4, Graton, CA 95472. 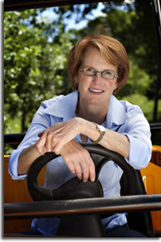 You can find more information on AceCider.com or by calling them at 707-829-1101. Even with our nation’s long history of cider making and enjoyment, the industry’s exponential growth has proven the need for legislation change. Many of the current pieces of legislation surrounding the industry are outdated or non-applicable. Furthermore, the industry is in need of some pieces of legislation so it can continue to expand business, be creative, foster innovation and have direction. This past January, the industry took one step in the direction of legislation change. 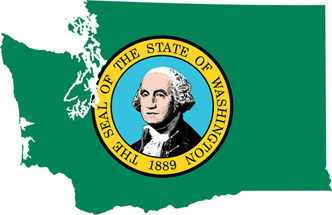 In Washington State, State Representative Sam Hunt introduced House Bill 1008 to legalize the sale of growlers of cider. This bill was presented because cider cannot be sold in growlers under current state law since it is not defined as a beer but instead a table wine. Growler sales are already legalized for beer in many, if not most, states and this new bill is only a natural progression. The bill is currently sponsored by nine other State Representatives including: Appleton, Hurst, McCoy, Condotta, Fitzgibbon, Tharinger, Upthegrove, Reykdal and Magendanz. If the bill is passed, it would allow restaurants and/or retailers holding a license that permits the sale of beer in a sanitary container (i.e. growlers) to similarly be permitted to sell cider in such a container. No additional permits would need to be applied for. Businesses that sell growlers of beer would be given a simple green light to sell growlers of cider. Although this bill is only one small piece of legislation, it will have a large economic impact. It will give many small businesses in the tourism and beverage industries another attraction for customers; and, in turn, more sales and income. This tiny piece of legislation only demonstrates the legislation changes that will undoubtedly come in the near future. 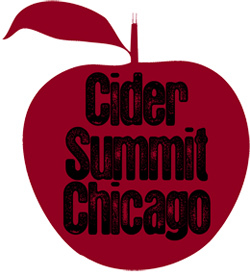 Over 2,000 people attended Chicago's first annual Cider Summit that took place Saturday, February 9th, and it seems from the response, that it will be back again next year. SBS Imports and the Seattle Beer Collective have produced Cider Summits in Seattle, Washington and Portland, Oregon, but for the first time, the Cider Summit was brought to Chicago. The event benefited The Great Lakes Cider and Perry Association, WBEZ Public Radio and Heartland Alliance. “With CiderCon happening, we thought it was a unique opportunity to have it here because it’s really the only time producers across the country come together and we can have a diverse lineup.” said Alan Shapiro, SBS Imports Founder and Cider Summit Organizer. The event drew twice the number of participants initially expected. People came from out of state and their familiarity with cider ranged from the curious to the cider devotee. Shapiro said, “As the cider category grows, more and more people are hearing about cider for the first time, especially artisanal ciders and are curious.” The foray of former Goose Island Brewmaster Gregory Hall into cider certainly sparked a new interest in cider in the Chicago area. Over 55 ciders were available for sampling from big players such as Woodchuck and Angry Orchard to foreign imports from England and New Zealand provided by the Shelton Brothers. Other cider producers featured included Black Star Farms, MI; Farnum Hill Ciders, NH; and this month’s featured cider company, the California Cider Company, as well as twenty other cider producers. “There was a wide gathering of ciders and very broad range of styles,” said Shapiro and he attributed this to a main part of the event’s success. Several producers noted Vandermill’s Totally Roasted Cider as one of the more popular ciders, as well as Eden Ice Cider Company’s Orleans Aperitif Cider. “The crowd was enthusiastic. It was great to see a room full of cider lovers. We’re used to being the extra table at beer events, but here was a room full of people who just love cider.” said Jeremy Kidde, co-owner of Doc’s Draft Hard Cider, who attended the event. “It was informative and great to see cider producers of various sizes and stages.” The event provided a welcome chance for producers to network, as well as an opportunity to reach a broader clientele. 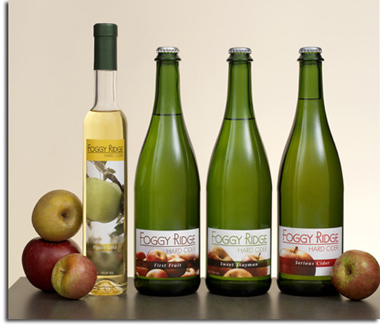 Foggy Ridge ha s also recently developed two dessert ciders, Pippin Gold and Pippin Black. These ciders are apple poured, and a blend of spirits and fermented cider. 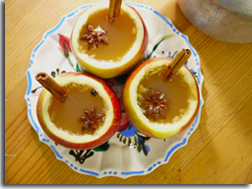 The cider is fermented to the desired sweetness level and then unoaked apple brandy is added in. “I love the Newtown Pippin apple, a lovely eating apple, and wanted to find more ways to incorporate it, and we also wanted to find a desert cider.” Butterscotch and caramel notes combine with rich apple flavor, in the most recent desert cider, Pippin Black, to make an ideal pairing with bleu cheese and walnuts. This past weekend, Flynt hosted a Winter Pruning Workshop, where participants learned the basics of pruning in a hands-on workshop on a Virginia heirloom apple orchard. Flynt argued that growing apple trees isn’t as hard as people think it is. “People think apple trees are a real mystery,” she says. “You have to spray them, etc. But there are trees that grow in the wild and produce fruit without all that. You can grow trees in your own backyard. Particularly some of the old fashioned varieties.” Participants pruned three different ages of trees, and there was a cider tasting, after of course, the pruners were put away. For more information on future workshops and on Foggy Ridge Cider, please visit FoggyRidgeCider.com. The number one selling hard cider company in the United States, Angry Orchard, has announced the release of a new cider style, Angry Orchard Elderflower Hard Cider, the first of its kind. Inspired by the European tradition of elderflower cordials which date back to ancient Roman times, the cider makers at Angry Orchard have crafted a unique hard cider that balances elderflower’s subtle floral notes and tropical fruitiness with Angry Orchard’s crisp apple sweetness. Angry Orchard Elderflower Hard Cider is available nationwide now through summer in 6-packs for a price of $7.99 - $9.99 (depending on market), and in variety 12-packs with three other Angry Orchard styles for a price of $14.99 - $17.99 (depending on market). To find where Angry Orchard is served near you, visit the Cider Finder online. 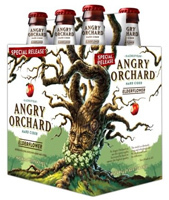 More information about Angry Orchard can be found online as well at AngryOrchard.com. No more soft drink sponsorships, sports teams are now starting partnerships with the growing Hard Cider industry, and popular hard cider brands, Magners Cider and Crispin Cider Co., are teaming up with sports teams of their own. Premium international cider brand, Magners, is joining the field with the Celtic Football Club. 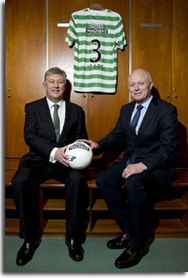 The deal places Magners as the official shirt sponsor of Celtic from the start of the 2013/2014 season. Magners has been involved with sports teams in the past including rugby and football and Tom McCusker, Managing Director of Magners, looks forward to a successful partnership with Celtic Football. He explained, “Magners is a premium brand with huge ambition both at home and abroad, available in over 40 markets worldwide including key cider growth territories like the US, Australia, Canada and Asia. There is, therefore, a great fit with the Celtic Football Club who also enjoys great success and popularity domestically and internationally. Everyone at Magners is looking forward to working with Celtic and its fans over the coming years in what promises to be an exciting time for the club and our brand." On another playing field, American hard cider maker Crispin Cider Co. has signed a three-year agreement with U.S.A. Rugby to become the official hard cider of U.S.A. Rugby. 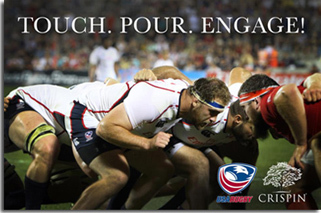 Established in 1975, U.S.A. Rugby is the leading body for the sport of rugby in America. Headquartered in Boulder, CO., U.S.A. Rugby has over 115,000 active members, and will now have a tasty new player on its team. According to Crispin Cider Co. President, Joe Heron, the relationship between Crispin and U.S.A. Rugby has been brewing since the day they bottled their first cid er. “We’re as enthusiastic and passionate about the sport as the exceptional people who play the game. No helmets. No pads. Just lots of ice. Perfect.” said Heron. As part of the deal, Crispin will sponsor annual awards such as the U.S.A. Rugby Crispin Club Rugby Coach of the Year/NCS Championships for both male and female team coaches, and the U.S.A. Rugby Crispin Club Rugby MVP of the Year/NCS Championships for the best male and female rugby players. “Rugby is a team game, and we’re thrilled to have Crispin on our team going forward. We love their energy, their passion for the game, and their willingness to work with us to benefit the future of the sport as a whole,” said Nigel Melville, president and CEO of U.S.A. Rugby. For more information you can visit CrispinCider.com or Magners.com.